There’s an island off the coast of Africa you need to keep an eye on. But it’s not off the east coast, where luxury resorts have taken over the western Indian Ocean. This one is in the often overlooked Atlantic Ocean, in a string of islands that includes Bioko, and São Tomé and Príncipe. For years, it’s been quiet and dark. The arrival of solar power could quickly change that. Annobón wasn’t always quiet. After being discovered by the Portuguese in 1473, the island became an important slave-trading post that was also used by the Spanish and the British. 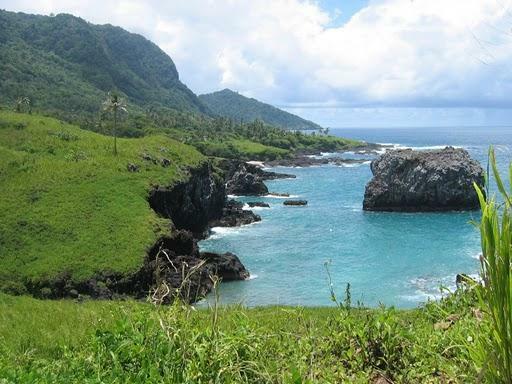 Eventually, the island—and its Portuguese-speaking people—became part of Spanish-speaking Equatorial Guinea. It was largely forgotten. For too long, the island remained in the dark. San Antonio de Palé, the small capital built largely by runaway slaves, was limited to just five hours of electricity each day only a year ago. Diesel generators, and the fuel to run them, were prohibitively expensive. Solar energy, as well as a new airport and a recently expanded port, ensure that the remote island will no longer feel so remote. So what do you need to see on Annobón? Start in San Antonio de Palé, since you arrive there anyway. The colonial church, with its wooden gabled roof and stained-glass windows, was recently restored. Hike through the lush valley—filled with ceiba trees, huge ferns, and lots of moss—to find Lago a Pot, a crater lake near the center of the volcanic island. You might see orange-tailed Annobón paradise flycatchers, endemic songbirds, along the way. Continue up steep Quioveo in the Annobón Natural Reserve. The extinct volcano is the highest point on the island. See small rocky islets, little fishing boats, and passing vessels from the top. Then head down to the beautiful beaches along the coast. For now, there are no crowds, hotels, or vendors. Something tells you it won’t stay that way for long.